This wattle has just about finished now. I was able to get a few photos this year. 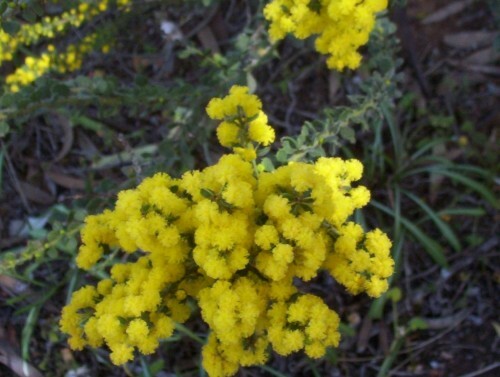 It is another of the local Acacias and its common name is indicative of the colour. Mine grows at the base of mallees and gets morning sun. As a result it is about 70cm tall. It can get to one and a half metres. 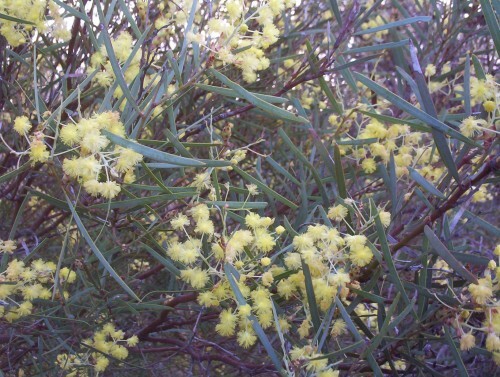 Rather a spindly plant with widely arching branches but each branch is smothered in gold flowers. I look forward to this one flowering each year. I do like wattles. Many people complain about them and there is no doubt that some have an overpowering perfume. There are so many that do not that there is bound to be one that will suit a garden. 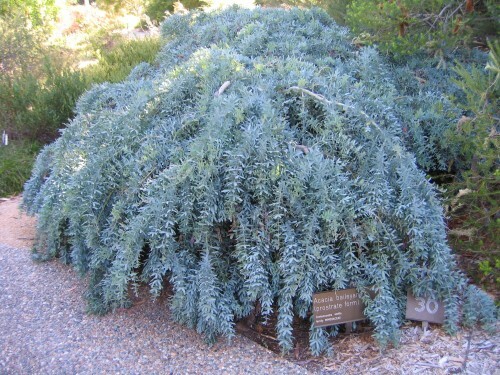 So many are also frost, drought and lime tolerant. When the flowers have finished they make a good background to other plants when they are in flower.